The risks involved in a restaurant are a microcosm of the challenges that every business faces but because of the unique challenges they are amplified. Problems that can take large organizations years to notice can rear up within a few months, so it really is no wonder that most restaurants don’t survive their first few years. In the kitchen, logistics are the biggest challenge and the cause of most crises. Ingredients must be used while they are fresh or they are wasted, which means that a single mistake in ordering, or a single failure to predict a trend can destroy the business’ entire profit margin. 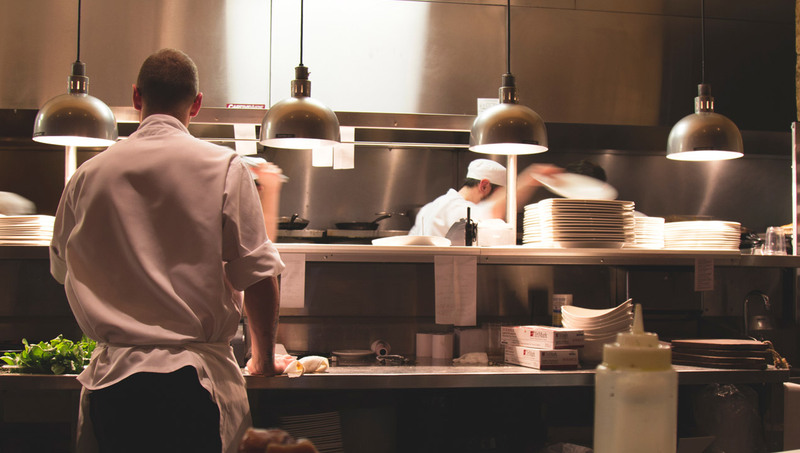 Head Chefs not only have to run their kitchen, they also have review all their sales data and analyze trends in the market to ensure that they are always ahead of the curve. All of this without even getting into the logistical challenges of preparing dozens of dishes with different cooking and preparation times. The knock-on effect of a single error in that process can result in yet more of the profit margin being gobbled up. In the front of house, the restaurant has two of the most efficient and immediate ways of gauging user feedback that you will find in any industry. The entire serving staff are constantly receiving verbal feedback from the users that can be used to tweak the experience, in fact some might argue that gathering feedback and conveying information from the kitchen is the main purpose of their job. Of course, as researchers we know that what people will tell you to your face only makes up part of the feedback you really need. Comment cards provide anonymity but require an extra step of effort on the part of the user, so they are less than ideal. Luckily there is a cultural expectation in Europe and the USA that provides an additional, easily quantifiable line of feedback. Tipping. Many companies are struggling to adapt to the new business model that the internet and social media in particular have been perpetuating where the success of a product hinges less on the amount of money sunk into marketing and more on the reviews that it is given. Meanwhile, restaurant criticism has been a cottage industry for as long as there have been newspapers. Businesses have failed or succeeded on the weight of those reviews, so giving an amazing customer experience to everyone who walked through the door has always been a key component of the business plan. The final area where restaurants have always been ahead of the curve is in the disconnection of the consumer from the components of that they are consuming. There is an old adage about everyone wanting to eat sausage and nobody wanting to know how sausage is made. However, we are now starting to see a reverse on this trend. There is an increased interest in ethical consumption and organic farming that has been eroding the walls between user and product, with increasing demand to not only be told that dishes are made with organic ingredients but also to emotionally experience that truth. Starbucks now stocks their smoothies as small containers of fruit that the customer can watch being taken away and blended. Farm to table has become the buzzword for many restaurants with an emphasis on showing how natural the ingredients are. Blue Hill Restaurant in New York is a perfect example of this, producing not only quality food but also tasting menus of the component ingredients to help the customers make the emotional connection between the ingredients from the farm and the food they are eating. Anything that a restaurant grapples with will come to influence how other businesses operate too; improved data collection and analysis, better user research, and understanding how reviews influence customer behavior are already vital to almost every industry. It is worth considering how this trend towards ethical consumption and a need to understand the components of the final product might spread from restaurants to affect all of us.